It does not take having a special gift or a magic touch to work wonders in the kitchen. The secret is practice, practice, practice! Some people seem to be able to toss things together and achieve wonderful results. This is a skill they achieved by many years of cooking and baking. Remember – Skill and confidence come with practice. Photo was shared with me by my sister, Carol Arroyo, and her website called The Baking Pan. 2. Cultivate the do-it-right attitude and habit. Remember: If it is worth doing, it is worth doing right! Baking demands accuracy and care. Unlike other kinds of cooking, such as soups or stews, you cannot improvise or substitute ingredients. 3. Never carry on another activity while you are mixing a recipe. Distractions, no matter how small, lead to mistakes. Let the telephone ring! 4. Use good tools and utensils: Assemble all the bowls, pans, and utensils you will need on your counter or work table before starting. Use standard measuring cups and spoons (see below). 5. 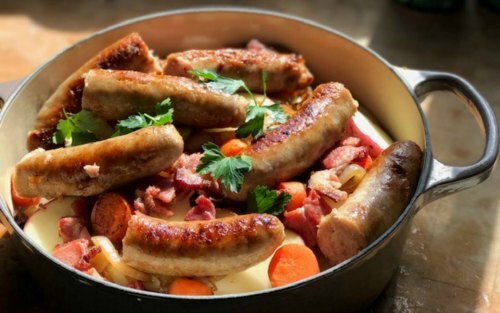 Use Correct Pan Sizes: Use the type of pan specified in the recipe. Recipes are carefully calculated as to yield and changing the pan size also alters the baking temperature and time. Larger, more shallow pans need increased heat; smaller, deeper pans need decreased heat. The size of a baking pan or dish is measured across the top of the container from the inside edge to inside edge. The depth also is measured on the inside of the pan or dish from the bottom to the top of the rim. Prepare the pan carefully according to the recipe. Place pans as near the center of the oven as possible. Do not place pans directly over another and do not crowd the oven (this makes for uneven baking). 6. Use top-quality ingredients and assemble the ingredients before starting: You can nott expect a first-rate product using second-rate ingredients. Be sure your ingredients are fresh and of the finest quality. If your recipe says the ingredient must be room temperature, be sure it is room temperature before proceeding. 7. Measure the quantities correctly: This is a baking must! One common cause of cooking failures is inaccurate measurement of ingredients. You can use the best ingredients in the world, but if you do not measure correctly, the recipe will not come out properly. Also always use level measurements (all measurements in a recipe are level). 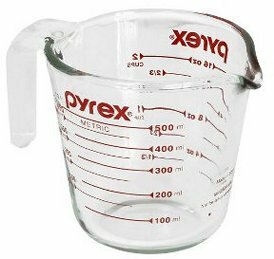 Use a glass measuring cup. The glass permits you to see the level of the liquid being measured. The cup for liquids should have additional space above the one-cup line, so that a full cup can be accurately measured without spilling. Check the measurement at eye level. Use standard individual cups. Lightly spoon dry ingredients into correct cup size, heat up, and level off with edge of spatula by cutting across the top. Use measuring spoons in this way too. Flour need not be sifted before measuring unless recipe specifies it. Sifting flour onto a sheet of wax paper instead of into a bowl cuts down on dish washing. Measure brown sugar by packing it firmly into a measuring cup or into a measuring spoon. 8. 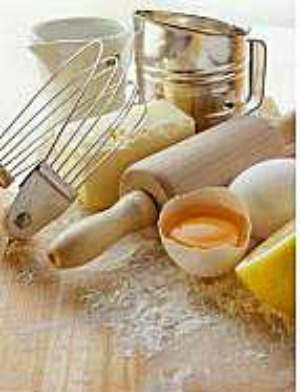 Mix Carefully: Each type of baking has difference methods of performing the mixing. Follow the recipe carefully. 9. Final Step Before Baking: Spread cake batter evenly in the pans. Do not drop or knock pans to level the batter. 10. Use correct oven temperatures: Never increase a cooking temperature because you are in a hurry. Make sure the racks are placed properly before heating the oven. If the recipe calls for a preheated oven, preheat it! Preheat at least 15 minutes before baking. Do not open the oven door prematurely. A draft may cause your baked product to fall. You can ruin a cake with a slow start in a cool oven because the cake can rise too quickly and then fall when the oven heat takes a spurt upward. It is a good idea to check your oven temperature with a freestanding oven thermometer. An oven thermometer is very handy (and inexpensive) to find out what temperature your oven really is cooking at. An oven thermometer can be left in the oven to verify that the oven is heating to the desired temperatures. If the oven is not maintaining the set temperature, the oven thermostat will have to be adjusted by a service center representative authorized by the manufacturer. However, if, after testing the oven temperature at several settings (325, 350, 375, and 400°F), it is consistently high or low by the same amount (say, 25°F), this can be factored into the temperature setting. For example, if you know that your oven runs “hot” by 25°F and you need to bake something at 350°F, set the oven for 325°F. Always check the oven thermometer to verify the temperature. A cooking or meat thermometer should not be a “sometime thing.” A cooking thermometer can be used for all foods, not just meat. It measures the internal temperature of your cooked meat, poultry, seafood, breads, baked goods, and/or casseroles to assure that a safe temperature has been reached and that harmful bacteria (like certain strains of Salmonella and E. Coli O 157:H7) have been destroyed. Learn how to read and use an Internal Meat and Cooking Thermometer. Cooking thermometers take the guesswork out of cooking, as they measures the Internal Temperature of your cooked meat, poultry, seafood, baked goods, and/or casseroles, to assure that a safe temperature has been reached, harmful bacteria have been destroyed, and your food is cook perfectly. of great info, saved to my bookmarks (:. Thank you very much for te guide. I want to learn how to bake from scratch, meaning i have no knowledge at all but i have a great desire for it, where do i begin and to i have to do to be a good cake baker?